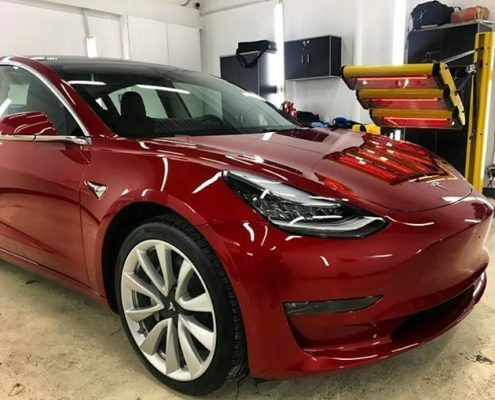 Self-healing Paint Protection Film (PPF) that improves the performance of your automotive paint, making it more durable to rocks, scratches, winter salt, sand, bugs and other possible everyday road damages. Paint Protection Film (PPF) also known as Clear Bra is virtually invisible, high quality and absolutely amazing product. The protective film is made of thermoplastic urethane. 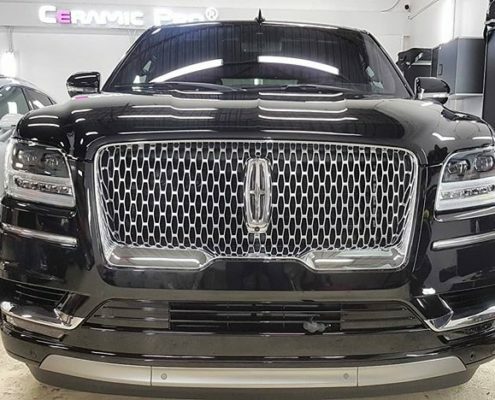 It’s highly durable material that protects vehicle’s paint from rock chips, scratches, bugs, other every day damages and approved by All car manufactures. XPEL Ultimate Plus Paint Protection Film is virtually invisible and self-healing. It adds surface durability to keep the exterior of your car looking brand new for as long as possible. Paint protection film can be applied to car’s most vulnerable areas: front hood, bumpers, door edges, side-view mirrors, and more. Self-healing properties of XPEL PPF surface allow for long-term protection against paint chips and scratches. 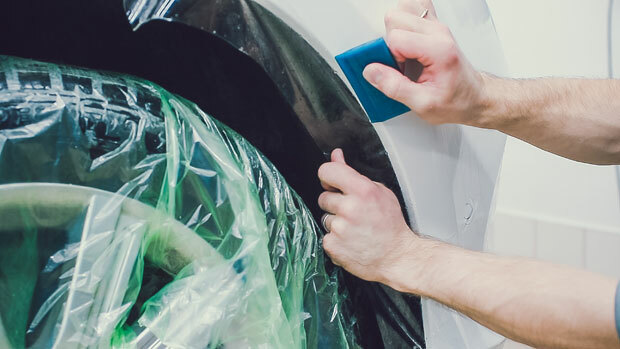 Manufacture’s 10 years warranty gives assurance that your paint protection investment will last. 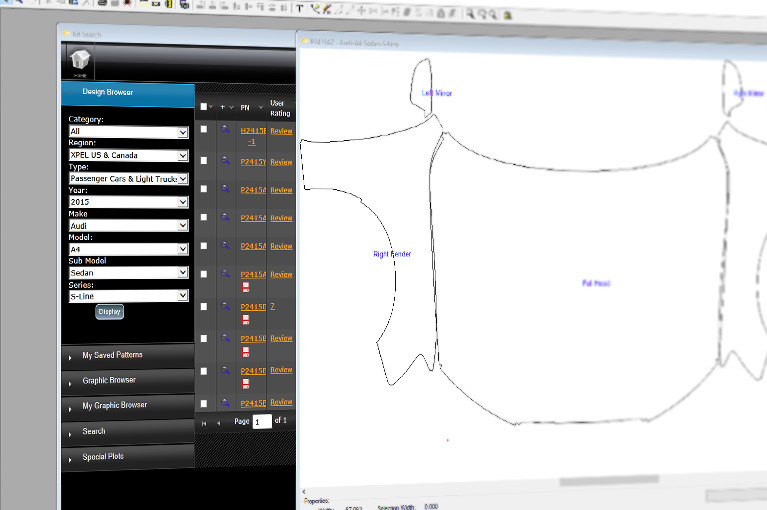 First Detailing Studio specialists use custom developed XPEL Design Access Program (DAP), which is the world’s largest & most comprehensive pattern repository. We have access to more than 80,000+ patterns. Design Access Program provides the confidence to our installers when they apply film and accuracy to final results. Precision-cut paint protection film kits can be efficiently, accurately and without concern applied to any vehicle. Contact us today for further details and to Get a Free Quote. 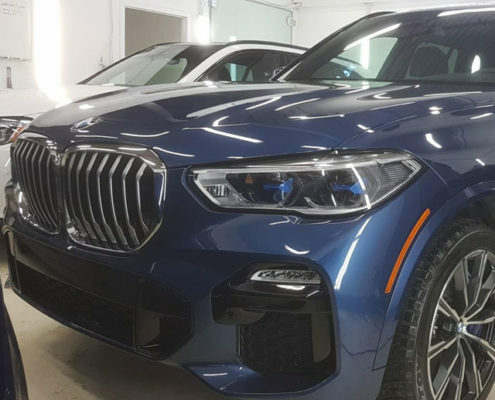 First Detailing Studio is Premium auto detailing shop that provides professional installation of XPEL Ultimate Plus Paint Protection Film (PPF) to its customers in Edmonton. We have everything to get the job properly done. 100% customer satisfaction is guaranteed! Installation of paint protection film on regular sedans, trucks, vans, sport and retro cars. We offer standard packages as well as an option to create your own, custom PPF (a.k.a. clear bra) package that suits your needs and budget. We promise to protect your investment in automotive film and installation with a Limited Manufacturer’s Warranty.